Another release of O+ USA, recently been announced on O Plus USA official Facebook fan-page the O+ 8.36z Android Phone, along with O Plus 8.37 and O Plus 8.31z. Now available in the Philippine market today. 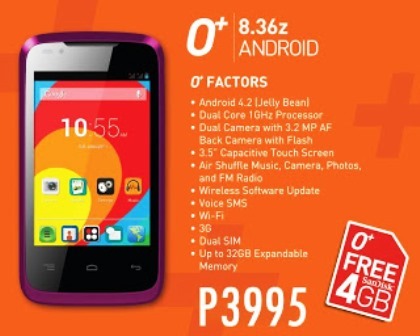 For Php3,995 and comes with O+ free Sandisk 4GB Micro SD memory card.